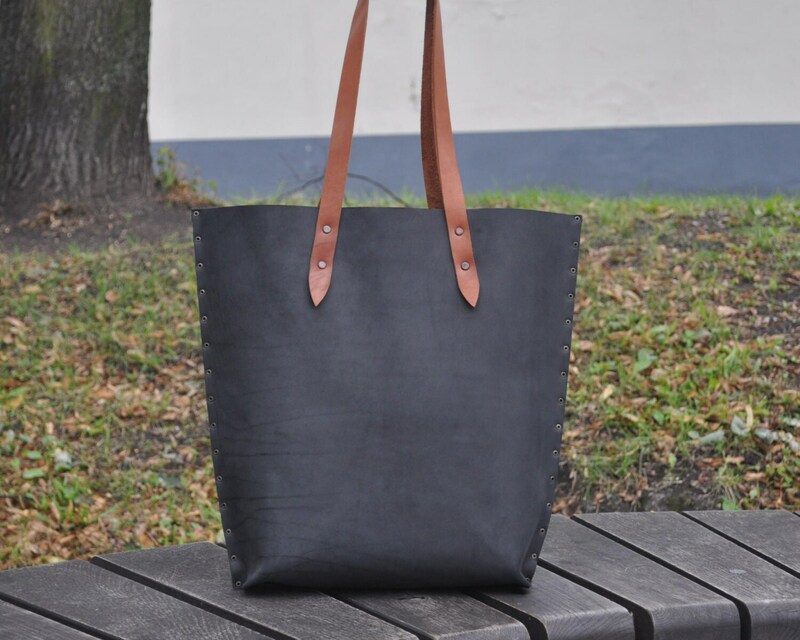 Leather Tote with Brown Straps. 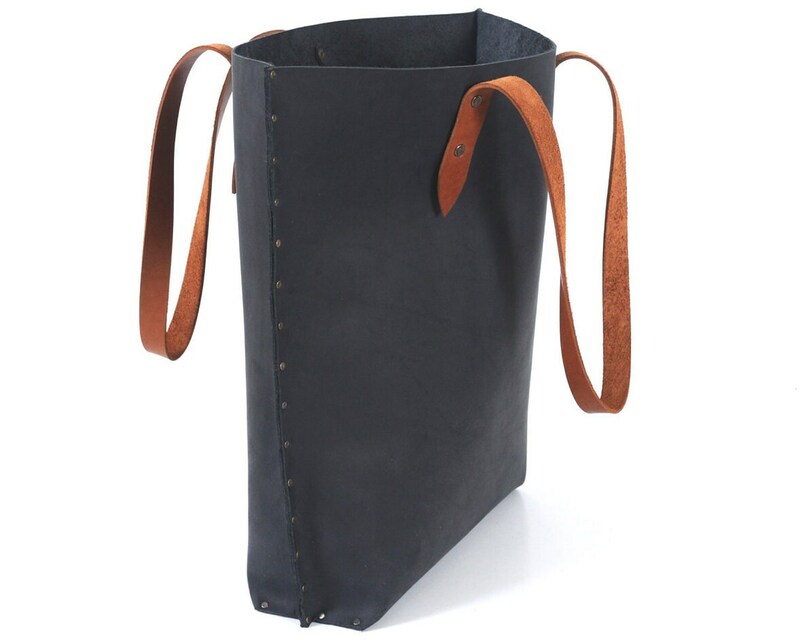 Urban Style with Riveted Seams. 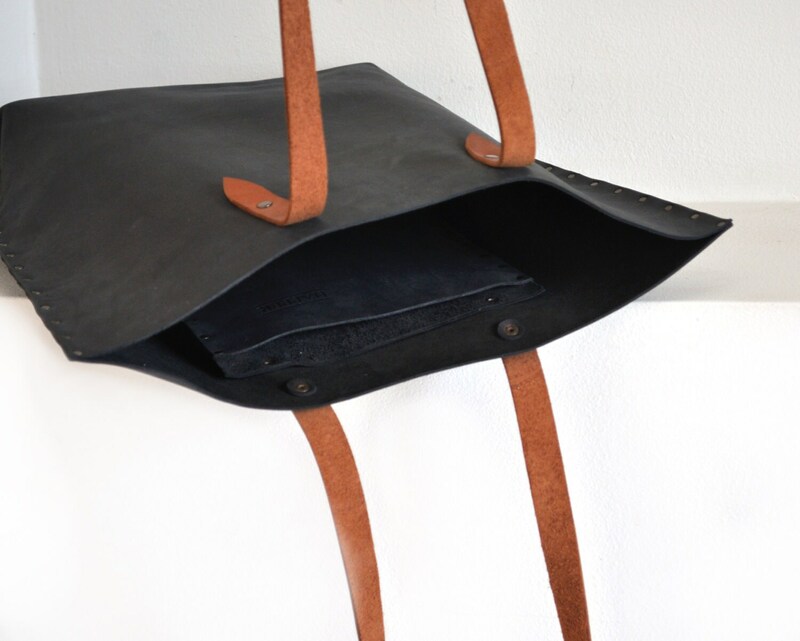 Our most unique of all the bags, this black tote with brown straps is sure to stand out in a crowd! 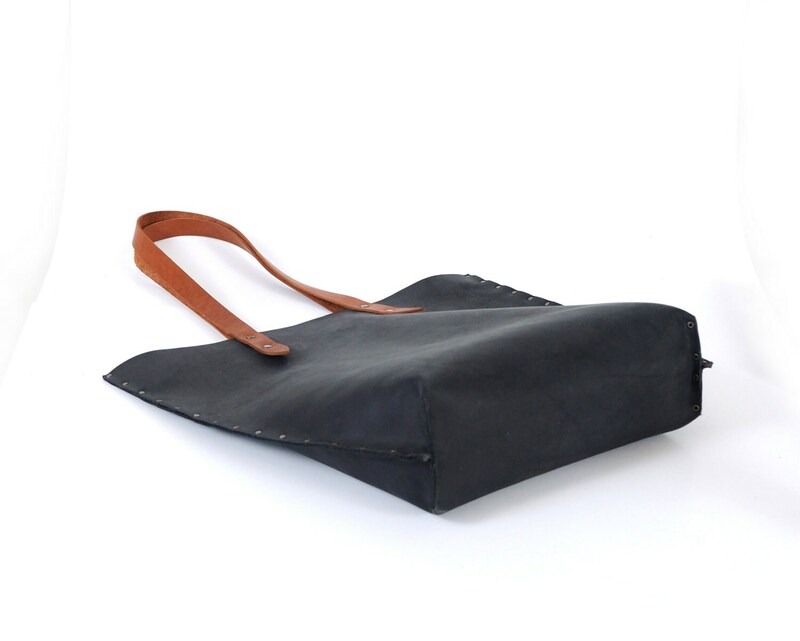 Made with the best leather we could find, this bag is handmade and secured using rivets on the outer seams. 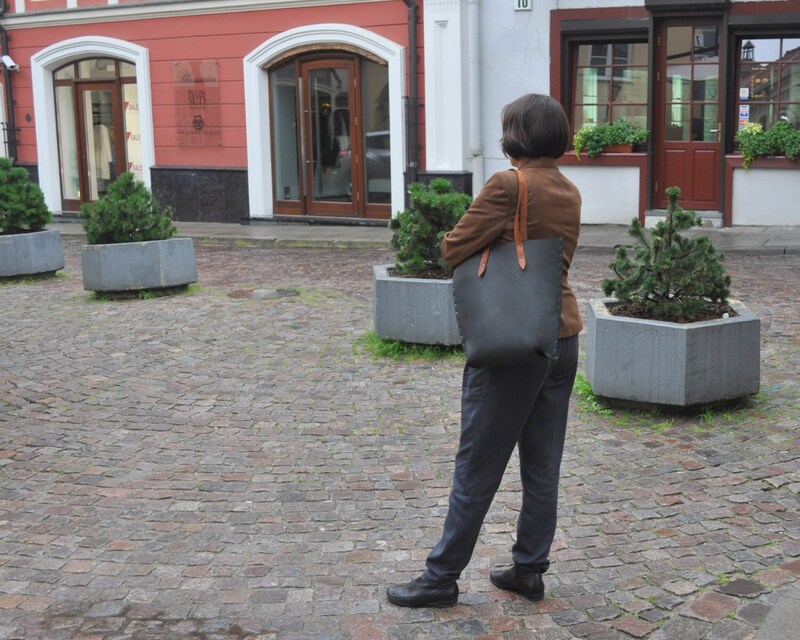 Ready to be used everyday, this durable bag does not have an interior lining, but there is one black leather pocket inside.